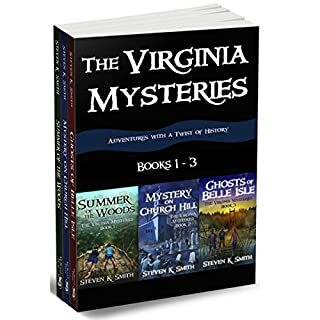 When 11-year-old Connie is sent to live with her eccentric aunt by the sea, she’s not expecting anything great - not to make friends with Col, the coolest guy in town, and certainly not to discover that mythical creatures still exist, that an ancient society has protected them for centuries, and that a dark and treacherous force is lurking in their midst. Most of all, she doesn’t expect to learn that she has the rarest of talents, greater even than her secret ability to communicate with animals. Our 14 yr old daughter listened to the entire story all at one time. If you could sum up The Candle Star in three words, what would they be? Emily Preston is the main character in this book and for the first few pages you want to pull her over your knee and give her a sound whooping (note: I do not condone spanking but this girl really needs one). She is one of those characters that you just down right hate. She is spoiled, selfish, and very set in her ways. You don’t expect that she will ever change and just when you are about to give up hope on her your see another quality; Emily cares for others. She has compassion and it soon grows into something strong enough to help her change for the better. There were several he did a wonderful job with. I liked his impression of Emily. Her southern bell accent was spot on. I also enjoyed all the black folks. He really brought a "real" aspect to the book. His best overall voice I think was the wicked Mr. Burrows, which he did so well. This book really made me think and think hard. Are we all sometime like Emily Preston? Do we ignore bad things because that’s the way things have always been? Do we put ourselves above others because we feel more entitled to things? The one thing that stood out above anything else is that our prejudices are not limited to race; at least not for Emily. She not only sees the colored folks as beneath her, but those with a lower class than herself. She sees servants, white or black, as nobodies; even the people in the north because they do not see things as she. This prejudice is so extreme she is willing to destroy someone else’s happiness to see the classes don’t mix. How often do we ourselves do this? Michelle Isenhoff makes you sit back and take stock of the type of person Emily is and how to avoid becoming this way. Overall I believe this is a book that every kid should read. I love the nods at actual things that transpired during this time in history: the mention of Uncle Tom’s Cabin, the slave trade, and the underground railroad. The way these were written really show the author did her homework. I am anxious to read the rest of the books in this series. Set in the late 1850s, Southern Belle Emily Preston has been sent by her parents to live for a spell with her uncle Isaac Milford. She comes from a slave plantation in Carolina and she is in for some culture shock in Detroit, a land where slavery is not tolerated. Also, her uncle insists that she earn her keep and this means chores and attending school, things she did not have to do in Carolina. This was a very interesting book. Most books I have read that are set in this time period always make slavery and slave owners out to be the big monsters of the story line. In this book, the author does a most excellent job of showing how slavery and white supremacy was handed down generation to generation and reinforced with culture and politics. Basically, it was never a simple black and white issue (no pun intended) and while I knew that from reading nonfiction history books, I had not seen an author willing to tackle that in fiction. So, big kudos to the author for showing the complexity of the times through Emily’s eyes. 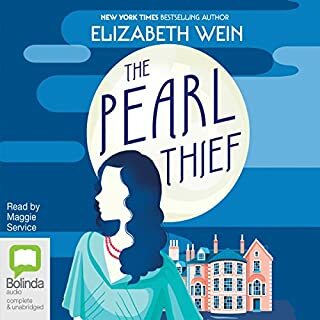 While the plot itself was pretty straightforward (rich girl has to learn that other people are worthy of regard) the characters made it very engaging. Emily starts off pretty rude and conceited, but we also see right away that she is suffering from homesickness and is somewhat afraid of the unknown. After all, she has never been to Detroit or met her uncle. So right off, I am a little conflicted over her – I don’t want to like her because of many of her attitudes and yet I totally connect with the homesickness and dread of the unknown. Well played because Emily’s story arc has the most growth and by the end I was wanting to invite her into the kitchen for tea and biscuits. Meanwhile, Isaac’s boarding house employs several free blacks and an Irish woman. They all still have to cater to whoever is willing to pay for a room, even the questionable Mr. Burrows (a slave catcher) and his crew. At first, Emily has great trouble accepting the idea of free blacks, and she initially finds the idea of blacks reading and going to school to be preposterous. But over several months, it becomes apparent that everything she has been taught about the supremacy of whites is incorrect. It’s a hard, bitter pill for her to swallow. Malachi, a black teen who is attending school, is instrumental in showing Emily a new way of thinking. Meanwhile, the old slave Ezekial who accompanies Emily on her trip, has revelations about his slave status that rock Emily’s world as well. I appreciated that the author showed that Emily had prejudice against anyone, white or black, that she felt was beneath her family’s status. She comes to truly dislike an Irish maid at the boarding house, believing her to be beneath her uncle’s notice. It was very interesting to see that Emily came from a plantation-owning family that thought and acted very much like minor nobility. So many people of many colors and backgrounds were below their status. It made me wonder if the ‘minor nobility’ of the Deep South got a little inbred after a few generations. The story progresses, showing us glimpses of the underground railroad that helped move slaves from the south to the northern states. Emily catches glimpses of this throughout the story but doesn’t truly grasp it until the end. And the end was nicely done too. We have some suspense that culminates in Emily’s choice concerning slavery. I was very satisfied with how this book ended and look forward to seeing what the author does next. The Narration: Fred Wolinsky did a very nice job with this one. He had a very good stuck-up voice for young Emily. I also liked all his regional accents. There’s a speech by Frederick Douglas in the story and Wolinsky made it sound very epic, like a turning point in history (and for Emily it was an important moment). 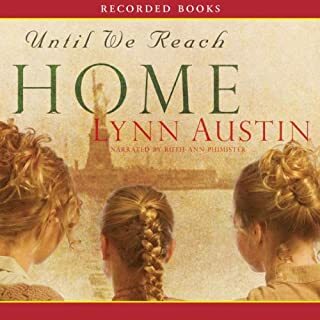 I listened to the Audible version and do imagine that the regular book might have been better.Narrated by Fred Wolinsky,who has a cadence that is hard to understand.This book tells of a girl in civil war times who is a brat and is shipped to her Uncles plantation to learn some life lessons.She encounters slaves,slave holders and people who help with the Underground Railroad.Her life and opinions change as she learns new things.It is a story any 'tween' would like.Give them the paper copy though. 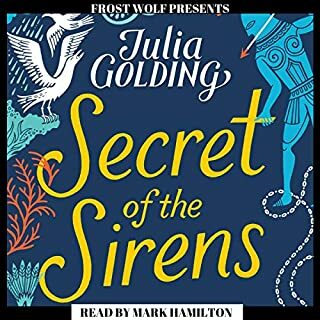 First Audiobook - High expectations for others! 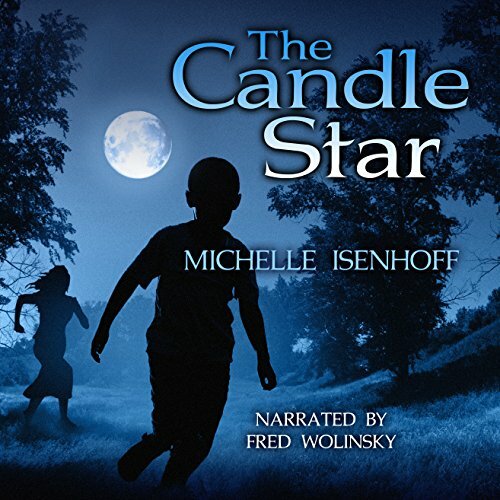 Would you consider the audio edition of The Candle Star to be better than the print version? I really don't know which I prefer. The two are really different mediums, and it is hard to decide. What was one of the most memorable moments of The Candle Star? I think it was when Emily realizes that slavery isn't the best thing in the world. It was a turning point. Also, when she meets her uncle. I was thoroughly impressed by his range of voices. I found his “Emily” voice kind of silly, but I guess that it’s because he’s a guy. I really didn't mind that. Stubborn privileged southern girl has her eyes opened by the actions of her abolitionist uncle and his colleagues. 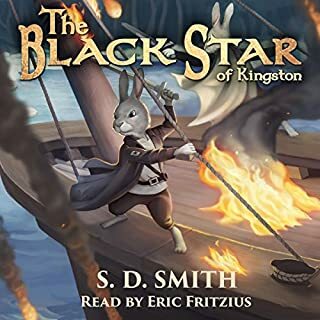 This was a very cool audiobook. Honestly, this is the first time I’ve heard a professional audiobook. I will say that this one has set the bar high for the next one I’ll listen to! Mr. Wolinsky’s narration really brings the story to life. It made me feel like I was there with the characters as the story unfolded. I was already a fan of Mrs. Isenhoff’s historical fiction books. It is a genre that is very difficult to pull off for middle grade readers. The story has to be accurate, exciting and give kids enough to make them want to read more. Isenhoff pulls this off well. I found that the audiobook added an extra level to the world Isenhoff created. It added dimension to some characters. Some of that I did like and some I found odd, only because I read the book first and had preconceived images of what the characters would sound/look like. Overall, the audiobook was a great experience and I would highly recommend it. Fun way to learn history for all! What did you like best about The Candle Star? What did you like least? The Candle Star is a YA novella, set in the 1850's, about a spoiled southern girl sent to her uncle's farm in Detroit. During the year she is there, her "southern" beliefs about the rights of all people are challenged by most that she enounters. The story was well written, especially with regards to fleshing out characters and scenery. As a former resident of Detroit, it was hard for me to imagine the city was once farmsteads! Did Fred Wolinsky do a good job differentiating all the characters? How? Fred Wolinsky definitely differentiated the characters. His female characters were done in a very high falsetto, and was pretty irtitating to listen to. I recommend that Mr. Wolinsky opt for a much, much lower voice for female characters in the future. I think Candle Star would make a great kids movie, but I see it more as a ABC Family movie. This book would be a great class read, probably 4-5 grade level, because it presented the slavery conflict in an entertaining, easy to learn approach. DISCLAIMER: I received a free audible code in exchange for an honest review. I'm not sure where to actually place this one, it is either a coming of age story or a finding her way story or maybe a bit of both, as little southern belle, Emily, has been sent to Detroit to live with her northern Uncle for a bit so he can give her something that her parents were not able to give her, ha ha discipline, for one. But we also find that her belief in slavery is very different than that of most of the town people that she needs to learn to live with and around. But there are still some that think like her and would like for her to spy for them, what will Emily do? 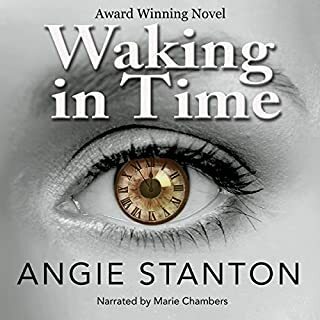 This is a very well thought out book with lots of action and suspense and if you get the audio version narrator Fred Wolinsky will keep you on the edge of your seat with his awesome portrayal of all the characters and how he can take you through their world and everything that is going on like you are really there with them, it is so unbelievable. I really liked this book it showed a different side of the slave issue coming from the north. She is a wild and willful child and her parent's decide to try to curb her behavior by sending her to live with her Uncle who owns a hotel in Detroit, Michigan. This book is thoroughly researched and I absolutely loved the description of Emily's trip to the Michigan State Fair. Narrator Fred Wolinsky has a very expressive voice. Initially the simpering, whiny voice he used for Emily grated on my nerves and I thought it was a bit overdone. However, as I learned more about Emily's spoiled and indulged childhood and her superior attitude I realized that the voice perfectly matched her character. I also have to give the narrator kudos for being able to perform multiple accents including both Yankee and Southern ways of talking. He also does a great job of using different accents for Zeke (the elderly black slave) and Julia and Malachi (free blacks living in Michigan).